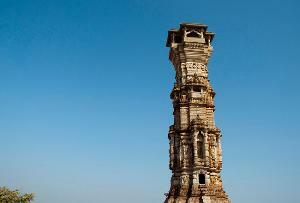 Vijay Stambha means victory tower and this is a popular attraction of Chittorgarh. This 9-storeyed tower is 37.19 meters tall and is built from red sandstone and white marbles. Rana commissioned it between 1442 AD and 1449 AD to commemorate his victory over the armies of Mahmud Khilji. Images of Hindu gods and goddess are inscribed with fine precision on it. 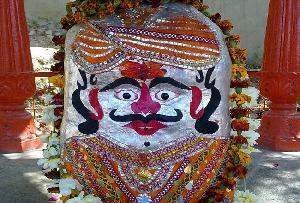 Other than images of Hindu Gods, figures of musical instruments and weapons are carved here. In the fifth floor the portrait of tower’s architect and his three sons is placed. The uppermost floor has been sealed and isn’t accessible to visitors.